We have all loved Hitchcock films and this is an “elegant and hugely enjoyable” look at the man who made them. 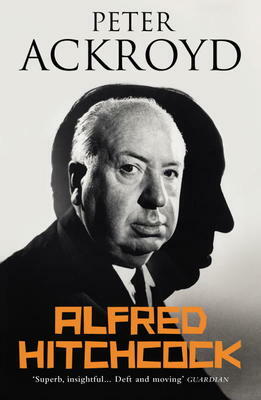 Alfred Hitchcock was born in 1899 in eastern suburbs of London and grew up on the floor above his father’s greengrocer shop. This later included two fishmonger shops and Hitch often went to school smelling faintly of fish. He was a fat little boy and, unlike his older brother and sister, was afraid of many things. The family was strictly orthodox Catholic. Ackroyd points out that this training instilled in him a sacred, rather than secular view of the world where mystery and miracle are as important as logic and reason. Hitchcock was a lonely boy, without playmates, so he invented games for himself and played alone. He also discovered the picture palaces and saw his first films at the ages of eight or nine. In his teenage years he saw D.W. Griffith, Douglas Fairbanks senior, Harold Lloyd and Mary Pickford, as well as the first Chaplin silent films. After training as an engineer and subsequently finding work at a Telegraph Company, he started taking night classes at the Art Department at the University of London. From here his skill at design, as well as his interest in seeing all the films in town, got him a job at Famous Players-Lasky and he was on his way. He also met and married Alma Reville, who was already a professional of film production. The book tells how he made The Lady Vanishes, Rebecca, To Catch a Thief, The Birds, and many other of his famous pictures. There are also good illustrations. Peter Ackroyd has won prizes for many of his biographies including T.S. Eliot, Charles Dickens and most recently, Charlie Chaplin. He holds a CBE for services to literature.